When we moved office, we wanted our new environment to reflect the dedication we have to our work, and the love we have for cars. 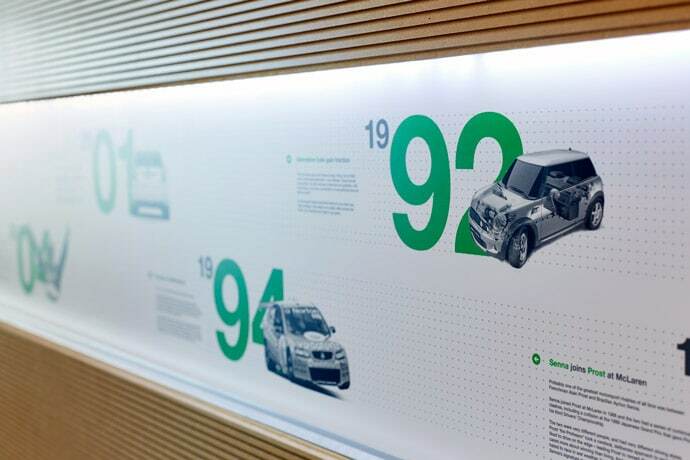 We think we’ve done a pretty good job, and, as Autopia HQ has just been published in Chois Gallery’s ‘World’s Best Graphics’ – we’re not the only ones! Gallery, published bi-mothly, is a unique review dedicated to presenting the best new graphic from all over the world. It includes packaging, identity, publication, poster, DM, promotion materiel, ad campaign, card, web page, environment, exhibition, point of sale, photograph and illustration etc. Each more than 220-page issue features around 200 of the world’s best new graphics.